Ed Murrow, the famous CBS reporter who broadcast nightly to the US from the London Blitz, wrote that the most remarkable fact of the war was that Britain kept its basic freedoms even in the face of defeat. This included freedom of speech and freedom of the press. Both have been increasingly restricted in recent decades, not just in the United Kingdom, but in other western democracies. Political correctness, together with new laws, have made it difficult for people to express themselves on issues that did not exist before the era of mass immigration and multiculturalism. Boris Johnson’s comment this week about the burqa being like a “letter box” led to a round of condemnation, until an opinion poll showed he had the support of 60% of the British people, who support a ban on burqas. At least half a dozen European countries have already imposed a ban on wearing a burqa in public. The BBC’s John Simpson, reported from Afghanistan shortly after 9-11. At the time the country was ruled by the Taliban. The only way he and a colleague could get into the country was by wearing a burqa. As deeply religious “women”, soldiers and police would not touch them. They safely returned with excellent coverage on the state of the country, immediately prior to the US led invasion. Mr. Simpson, without realizing it, showed the security risk posed by people in burqas. It’s no wonder that 60% of British people want them banned. And it’s not just security that is compromised by the wearing of the burqa. Wearing the garment is a constant statement that the wearer has no intention of ever being assimilated into western society, any western society. It’s likely that Mr. Johnson’s comment was not an error on his part. He knew what he was saying. Mr Johnson, a populist, is now leading the charge in defending traditional British values (freedom of speech) against the dictatorship of political correctness, enforced on the population by the liberal-leftist elite. The liberal elite have only themselves to blame. They are the ones who have forced multiculturalism on the English English, those who have lived in the country for generations, even centuries; it was forced on them against their will and without any vote by the people, who have seen their country hijacked since World War II. The liberal elite are not going to give up easily, as we have seen by their under-handed efforts to stop Brexit, eager to overturn the will of the majority to pursue their own globalist dream, which would, in time, wipe out England and all its traditional values. 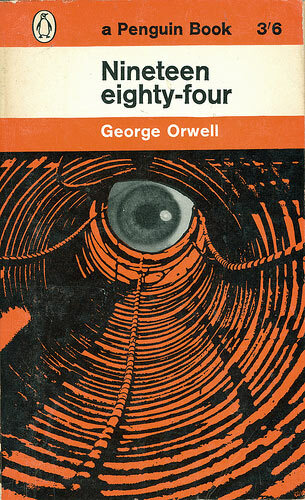 But their role, similar to that of the “thought police” in George Orwell’s “1984”, needs to end. The British people need to be free to express themselves on any issue, without the fear of punishment or denigration. Other prominent people, leaders in the community, need to show support for Mr. Johnson. One famous person did, today. His name is Rowan Atkinson, but he’s better known around the world as Mr. Bean or Black Adder. He’s been making fun of religious beliefs, without prejudice, for decades. He clearly sees the threat if you can’t describe the burqa as a “letter box.” Good for you, Mr. Bean! “Viktor Orban, Hungary’s Prime Minister, says a new European Commission is needed with a new approach to migration policy, stating that the days of the current EU executive are “numbered” with its mandate expiring next May, Reuters reports. “He made the comments Friday to state radio and said the next Commission should not punish countries that protect their borders from migrants. Orban added that the new EU leadership should punish those who let millions of migrants into Europe in violation of the EU’s rules. “The Hungarian Prime Minister is one of the strongest opponents of the EU’s migration policy. The European Commission has stepped up a legal battle with Hungary over EU migration rules, claiming a new Hungarian law, criminalising support for asylum seekers, is illegal. “Canada’s crude stance on social issues in the [Saudi] kingdom is not new – rather, it has been ongoing for years, despite Saudi Arabia’s diplomatic attempts to act flexibly towards [this stance]. Canada’s actions are nothing but systematic and planned aggression that goes far beyond support for human rights or freedoms and constitutes an attempt to take over and to impose the values of the Canadian left. “Iranian Foreign Minister Mohammad Javad Zarif said Monday that the leaders of the United States, Saudi Arabia and Israel were isolated in their hostility to Iran. Hamas has burned to a cinder more than 35,000 dunams of flourishing Israeli land – half the area of Tel Aviv, the whole of Beersheba – since March 31. But if the Palestinian terrorist rulers of Gaza walk off with the $650m aid package the UN, Egypt and Qatar are offering for a long-range truce accord with Israel – with applause from Washington – they will win the biggest prize ever awarded a serial arsonist. Only a fraction of the billions of dollars of aid poured into Gaza since Hamas seized power 11 years ago ever reached the population; the lion’s share was grabbed by Hamas’ terrorist wing for funding for “resistance, i.e. violence against Israel. Its arson campaign of incendiary kites and exploding balloons has been so successful that Hamas is being showered with perks, including the lifting of the Israeli and Egyptian blockades on Gaza, without having to reciprocate by, for example, dismantling its military (terror) arm and rocket arsenal, or even handing over the remains of the Israeli soldiers and hostages. Friday saw a record 30 fires caused by Palestinian balloons from the Gaza Strip and mass riots pushing against the fence, while hurling fire bombs at Israeli troops. A gang broke through and sabotaged IDF equipment before fleeing back. The outbreak was quelled only after Israeli forces used tear gas, which left 80 rioters injured and one dead and a tank gun fired at a Hamas position. Read DEBKA file’s Exclusive Analysis. For the last six decades, Germany has atoned and compensated for its historical role in the Holocaust of World War II, paying out an estimated $70 billion to survivors since 1952. However, a group of determined activists from Namibia has been fighting for recognition of the extermination of their ancestors by the German government in what has been termed the first genocide of the 20th century. Though often overshadowed by the subsequent Nazi crimes of World War II, Germany’s colonial-era atrocities have recently been put under the spotlight. Between the 19th and 20th centuries, Imperial Germany administered several parts of Africa including modern-day Togo, Cameroon and Tanzania. What was then known as German South West Africa (today’s Namibia) is where some of the darkest chapters of Germany’s colonial rule unfolded. In October 1904, after people from the Herero and Nama tribes launched a rebellion against German colonial settlers in South West Africa, German General Lothar von Trotha issued a written extermination order, saying: “Within the German borders, every Herero, with or without a gun, with or without cattle, will be shot.” The edict goes on to clarify that women and children would not be spared. Tens of thousands of Herero and Nama were starved to death in concentration camps in the desert or were massacred between the years of 1904-1908. It has been estimated that 80 percent of the Herero and Nama people were wiped out in the atrocities. On July 31, representatives of the Nama and Herero people will descend on New York Southern District Court to see if their quest for retrospective justice will be successful. In pursuing their case, the Namibians have invoked the Alien Tort Statute, which allows for non-US residents to make a claim in a US court for international law violations. They call for a full, formal apology from the German government, and reparations that could stretch into the billions. Donald Trump has a new rival, a fellow New Yorker no less. Like Mr. Trump, the newcomer is causing just as much turmoil in political circles. He can even rival The Donald with his famous hair. 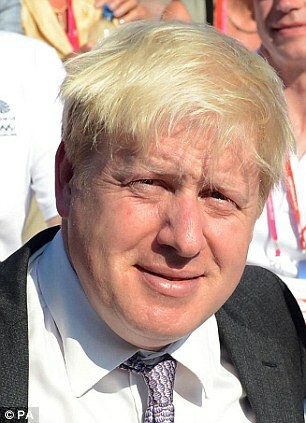 Boris Johnson (born 19 June, 1964, in New York) is a British politician, popular historian and journalist who has served as Mayor of London since 2008 and as Member of Parliament (MP) for Uxbridge and South Ruislip since 2015. Mr. Johnson is a popular figure in British politics. Mr. Johnson attended the same exclusive private school that Prime Minister David Cameron attended. Later they both attended Oxford University at the same time. They are two members of Britain’s elite and have been best friends for decades. That could change now. While Mr. Cameron is fighting to keep Britain in the European Union (EU), Boris Johnson on Sunday declared himself opposed. Mr. Johnson will support the “Leave” campaign. He is in favor of a Brexit, a British exit from the organization. If this sounds awfully like the 1930’s all over again, there are definite similarities, though nobody is threatening violence this time, not right now anyway. The pro-European faction in parliament is led by Mr. Cameron. He returned from Brussels late on Friday, promising the equivalent of Neville Chamberlain’s “peace in our time.” The prime minister announced that agreement had been reached with EU leaders that will serve Britain well. Consequently, Mr. Cameron will recommend Britain remain a member of the European club. It came as a surprise on Sunday when Boris Johnson came out publicly against continued membership. Like Mr. Churchill in 1938 he is concerned to protect Britain’s sovereignty in light of European developments toward a trans-national super-state. This time it’s not Berlin that concerns him so much as Brussels, the capital of the EU. But Berlin is a factor as the European project is dominated by Germany. The European Union began with the 1957 Treaty of Rome, which pledges member countries to form “an ever closer union.” This does not mean a United States of Europe along USA lines. This could never happen, as the dynamics are very different. What is far more likely to emerge is something akin to the Holy Roman Empire, which lasted for a thousand years until it was broken up by Napoleon in 1806. The EU has been working toward something similar since its inception almost six decades ago. It’s already the world’s biggest single market and trading power. The common currency called the euro rivals the US dollar as a global currency. Politically it’s more united than ever and there is some progress toward a European military. For Britain, all this is bad news. Not even the pro-EU politicians want the UK to be a part of a European super-state. They want to keep their independence or, rather, what’s left of it. They want to stay out of the euro and do not want to go any further toward an “ever closer union” or join a European military force. Mr. Cameron received assurances from the other 27 members of the EU that Britain can stay out of all three. He was also given some relief on the financial costs to British tax-payers having to pay benefits to EU migrants from the East, but only for seven years. But anti-EU politicians and members of the public are still insecure about the future. It’s not surprising really when you consider Britain’s history. For centuries Britain looked beyond the seas to its colonies and, later, the Commonwealth and the United States, remaining outside of Europe, only getting involved when threatened by a Napoleon, the Kaiser or Hitler. In 1962, former US Secretary of State, Dean Acheson, observed that: “Britain has lost an empire and not yet found a role.” In the same year, US President John Kennedy expressed his support for Britain joining what was then called the Common Market. Canada’s Prime Minister, John Diefenbaker, was very much against Britain joining, expressing his concern that it could mean the end of the Commonwealth of which Canada was a founding member. America wanted Britain “in” so as to have a reliable pro-American voice in the European club. The US also wanted free trade to boost American exports to Europe. If the United Kingdom votes to leave the EU, there will likely be far greater repercussions than can presently be seen. These will not just be economic. 44% of Britain’s exports go to other EU nations – a “no” vote could jeopardize these exports as tariffs exist on imports from non-member countries. The EU could be less co-operative with the USA. A British exit from the EU could encourage a Scottish exit from the UK, as it seems most Scots want to stay in the EU. Ireland would be negatively affected, with 40% of its imports coming from the UK and 17% of its exports going to Britain. Germany will become more dominant. Only Britain and France are big enough right now to restrain the central European giant. Take away Britain and it’s down to France. France’s priority right now is Islamic terrorism. Germany will be able to go full steam ahead toward its dream of a revived European empire, already referred to by some as the Fourth Reich. The Holy Roman Empire was the first reich (or empire), that lasted a thousand years; the Kaisers were the second reich; Hitler promised his Third Reich would last a thousand years like the first one, but it only lasted twelve. There will be a lot of bad feeling if Britain leaves. Other EU members will not be inclined to bend over backwards to help the Brits through a difficult transition period. Concessions on trade will be unlikely. It could also end shared security arrangements at a time when there are increased security risks with Islamic militancy. International companies operating in Britain could move to other countries. Many companies have based themselves in the UK to gain advantage in selling goods to other EU countries. Faced with high tariffs to keep out non-EU goods, they are likely to move elsewhere, leaving greater unemployment in their wake. There is also a possibility that some other EU members may follow Britain out the door. Whereas countries at the center of Europe have a long history of strong government from the center, those on the northern periphery have not. Although some may sympathize with the British position, they may decide it’s not economically feasible to leave as trade with Germany and other nations is too great. Some of the southern members may also opt to leave so that they can print their own money and boost employment. Bible prophecy shows that a revived European super-state will include ten nations. However, this does not rule out the possibility of other countries being closely tied to the ten. This would be very similar to the Holy Roman Empire where some territories were ruled directly from the center, but others were more loosely attached. Additionally, dozens of countries around the world are tied to the EU through the Lomé Convention, named after the capital of Togo. The agreement came into being a couple of years after Britain joined the EU. It tied British former colonies to the European trading system, along with French, Belgian and Portuguese. The EU is by far the leading world trading power. It’s surprising then that there’s little interest in the outcome of the British referendum in the American media. Any mention of the European Union solicits a big yawn. But the reality is that Boris Johnson may out-Trump Donald Trump in the upheaval he may cause across the pond! Kalamazoo is a big city that’s only an hour’s drive from where we live. Saturday night it fell victim to the latest American mass shooting, when a 45-year-old Uber driver shot dead six people and seriously injured two others. In between killing people, he picked up and drove passengers to their destinations.